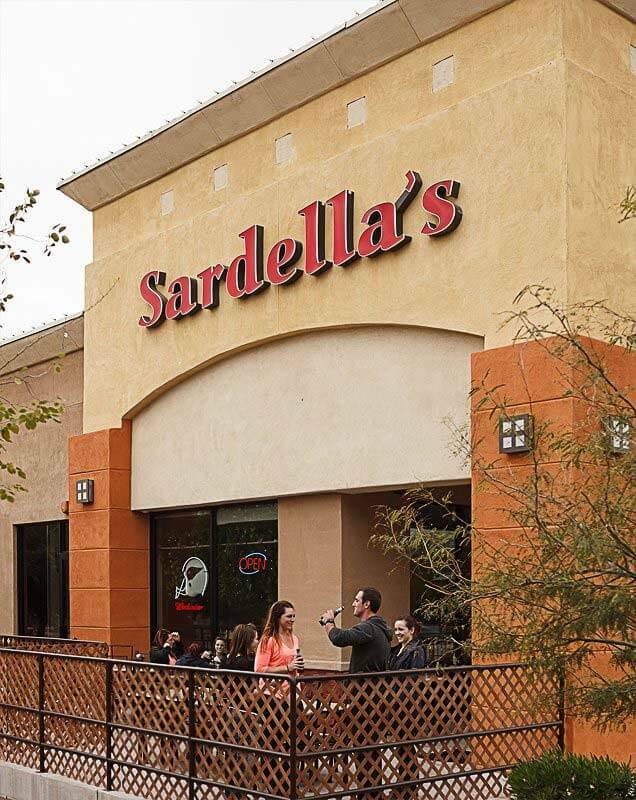 Welcome to Sardella’s Pizza and Wings at 8278 W. Lake Pleasant Pkwy. in Peoria, AZ! View our menu of pizzas, wings, calzones, pastas, and Italian family favorites, all available for takeout or delivery. We’re open for lunch and offer great lunch deals to go along with it. Since 1988, our family has been serving the Phoenix community authentic food, prepared fresh each day. Customize your pizza with toppings such as meatballs, jalapeños, ricotta, pepperoni, hot peppers, mushrooms and more! Or, try one of our mouthwatering specialty pizzas such as the Buffalo Chicken, a house favorite! Health conscious? Enjoy a gluten-free pizza, prepared by our trained staff members who adhere to international standards of safety. We also offer a variety of different salads for a refreshing meal or appetizer. Now you can order your favorite healthy and gluten-free items online, and opt for takeout or delivery! Our North Peoria location off the Loop 101 is located in the Fletcher Heights Marketplace at 8278 W Lake Pleasant Pkwy #100, Peoria, AZ 85382. It neighbors both Glendale and Phoenix, while also serving pizza lovers to the North in West Wing and Pleasant Valley! Order online or by phone at (623) 561-9200.